top schools~walk to award winning guadalupe elementary, dartmouth and free zone for leigh or branham. 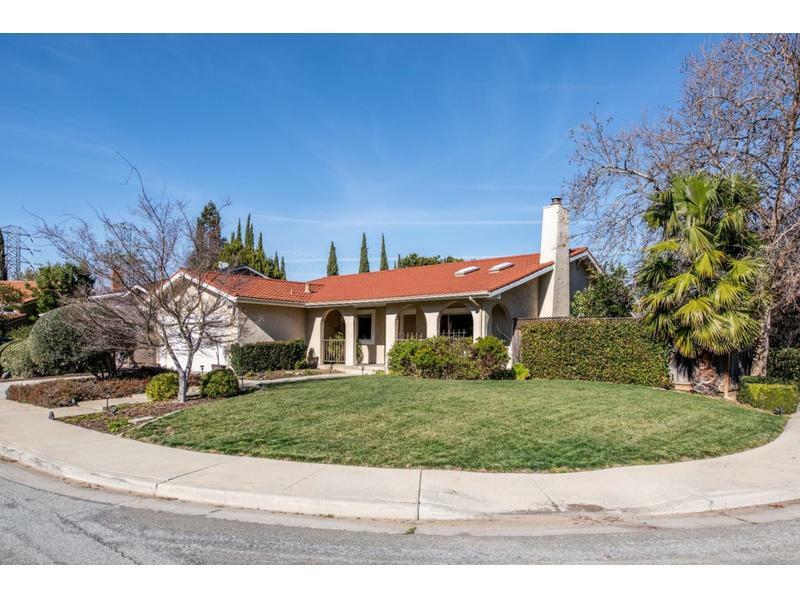 sought after oak canyon neighborhood located on the nw corner of almaden. spacious and open, flowing floor plan features new beautifully remodeled kitchen with quartz countertops, stainless appliances, cherry cabinets with soft close hardware, gorgeous remodeled hall bath with marble counters, wall hung cabinet, isenberg fixtures and updated master bath with dual sinks, granite counters and barn style glass door on large tiled shower. warm and inviting, this lovely home has dual pane windows, copper plumbing, recessed lighting, hardwood floors, new carpet and interior paint! corner lot with seating area on front porch, beautiful mountain view from living room and porch, private backyard, water fountain and beautiful flagstone patio! the oak canyon neighborhood has only two entrances and minimal traffic as well as community events including oaktoberfest and luminaries on christmas eve!